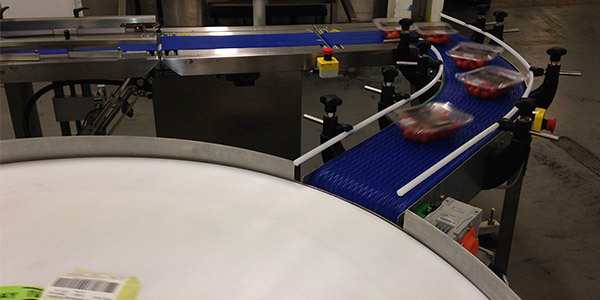 Spaceguard are UK Manufacturers for food packing and processing workstations, conveyors and tables..
Spaceguard is an ideal partner for the manufacture of food handling and automation equipment, producing a wide range of proven automation equipment, product transport equipment, Packing / processing workstations and stand alone tables, suitable for both direct food (and washdown) along with handling packed products. 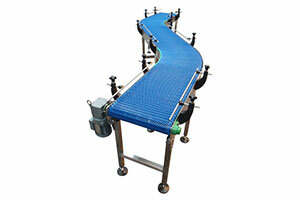 Spaceguard conveyor equipment are ideal for use within food processing and packing environments. Combining high levels of reliability, low maintenance. Please contact our sales team to discuss your requiremnts. Spaceguard is an ideal partner for manufacturing bespoke production and packing workstations, with the wealth of experience and working with you to assertain your needs, Spaceguard manufactures bespoke workstations to improve production flow and inclease productivity. 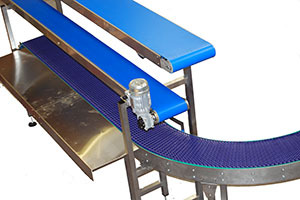 Reliable, easy to clean, ideal for the transport of direct food products or packed goods the modular belt conveyor, available with options for washdown applications. This proven automation product is available in 1/2″ pitch for light duty, 1″ pitch for most medium duty applications and the 2″ pitch which is proven within the beef processing industry . 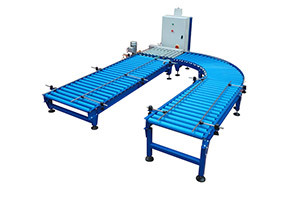 Rotary packing tables are ideal for use at the end of processing and packing lines. 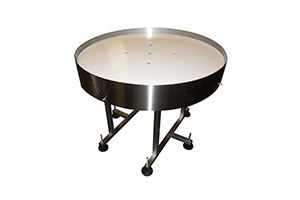 manufactured from stainless steel with food grade nylon tops these are proven within pack houses and food production environments, these tables also are available with dished tops and product diverters as required. Why is Spaceguard an ideal automation partner? Unsubscribe *sales@spaceguard.co.uk* from this list. Copyright (C) *|CURRENT_YEAR|* *Spaceguard Limited* All rights reserved.